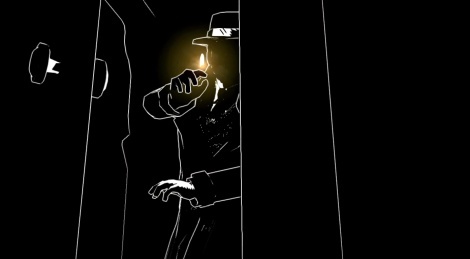 The intriguing White Night should be released in a bit on PC and Xbox One and here are a few screenshots of the game. We haven't found the launch trailer in good quality so it'll have to do for now. As for gameplay videos, we haven't received any review code yet, so we'll probably buy it ourselves. Should it be released soon enough, we might even consider livestreaming the game this evening. If it happens though, it will be completely improvised and you'll know at the very last moment. Stay tuned if you're interested. Update: Launch trailer and live-action trailer added. I personally think (and please no offence) that it would be biased not to mention it will arrive on ps4 too? None taken, but: considering we're just humans and this is not our day job, why would you prefer to call this biased instead of simply calling it a mistake? Especially since it's the one and only news article about the game that fails to mention the PS4 version. 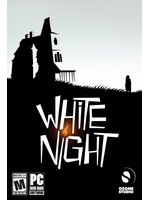 I watched all of the trailers for White Night - two of them are even te same trailer, still, the game looks very interesting and the Live Action trailer was extremely well made, looked very professional. Haven't got it yet because I'm trying to diminish my back catalogue, but it's definitely a game I will be checking in the future. The game has issues, it can be frustrating, but I still want to play it.